Currently out of stock. Choose AD-2.8-SS instead. - Topography imaging in PeakForce Tapping and contact mode. - Electrical characterization with PeakForce TUNA, TUNA, CAFM. - Nanomechanics with PeakForce QNM, FASTForce Volume. 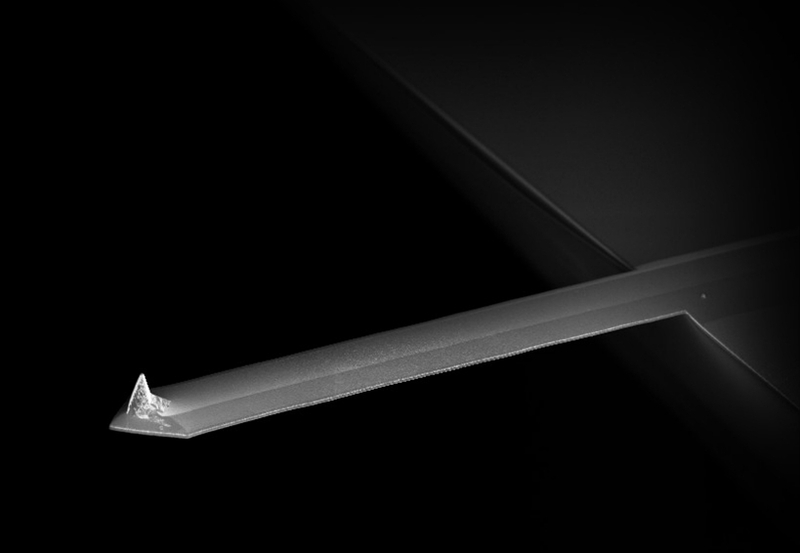 Highly conductive Apex Sharp diamond probes, formed by a unique patentedprocess ensure the best possible nanomechanical and electricalperformance. 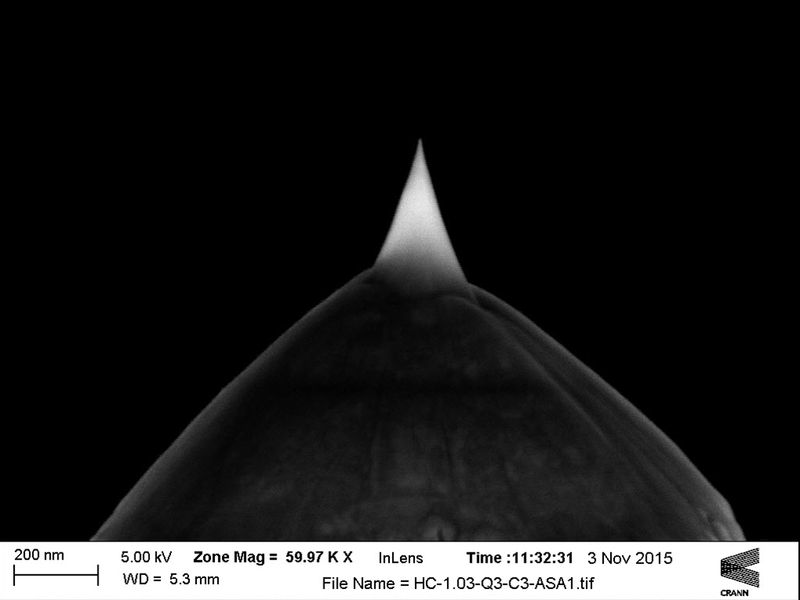 These tips are sharper and last longer than any otherelectrical AFM probe. The conductive diamond coating is highly dopedwith boron which leads to a macroscopic resistivity of 0.003 - 0.005Ohm∙cm. Contact resistance is typically 10 kΩ depending on contactradius measured on a silver surface. By using wear-resistant sharpdiamond probes the contact size is well characterized and stays constantduring mechanical measurements. Quantitative and repeatablemeasurements for over 24 hours of continuous use have been demonstratedwith these probes. A gold reflex coating deposited on the detector sideof the cantilever to enhance the reflectance of the laser beam.